Numerous adults contend with misaligned teeth and bad bites. These days, modern orthodontic appliances allow people to discreetly correct these problems. If you’ve thought about getting adult braces, here’s what you should know. For centuries, human societies have placed a huge amount of importance of teeth. These days, things are no different. Research has shown that a person’s smile can play a huge role in determining other’s perceptions along with an individual’s own confidence. A smile is one of the first things others notice about a person. In fact, nearly 50% of people believe a smile is the most memorable feature after meeting someone new. An individual’s teeth and smile can have an impact on several parts of their everyday life including; dating, career, and self-confidence. Countless studies have shown that self-confidence is critical to driving successful careers and happier lives. Unfortunately, it’s difficult for adults to project a confident air, when they are worried about the appearance of their smile. Adult braces can make people feel empowered in ways that allow them to try new things and embrace new opportunities. While orthodontic work offers indisputable aesthetic benefits, it also brings advantages that extend well beyond simple vanity. Since improper jaw positioning, crooked teeth and misaligned bites can cause discomfort and other problems as we age, it’s a good idea to correct these problems as soon as we can. When Is it Too Late to get braces? While childhood is an ideal time to alter the positioning of the teeth, it’s really never too late to get braces. In fact, according to the American Association of Orthodontists, 20 percent of all orthodontic patients are adults. The cost of braces for adults can vary depending on the length of treatment, type of treatment, and insurance coverage. Typically, an adult will wear braces anywhere from 6 months to a year. Metal/Conventional Braces: Ideal for straightening very crooked teeth and severe bite problems, these braces are the least expensive option. They are also the most noticeable; however, modern versions are far less noticeable than they were years ago. Ceramic Braces: Identical to metal braces in size and shape, these braces have clear or tooth-colored brackets that make them less noticeable. They are subtler than metal braces and work faster than clear plastic aligners. They also cost more than metal braces, can break easier and may stain without proper care. Lingual Braces: Mostly the same as conventional metal braces, lingual braces are applied to the backs of the teeth to make them less noticeable. Unfortunately, they are not a good option for severe dental issues. They also cost a bit more and can be difficult to maintain. Clear Plastic Aligners: With this option, your local orthodontist creates 18 to 30 custom clear plastic aligners that look like mouth guards. You will progress from one to another about every two weeks. There are no wires or brackets, and you can brush, floss and eat normally. That said, plastic aligners can be easy to lose, and they aren’t suitable for serious dental issues. Am I a good candidate for a particular type of braces? How much with the orthodontic appliance cost? You will also want to find out how much experience the orthodontist has working with adults that have your particular dental issue. 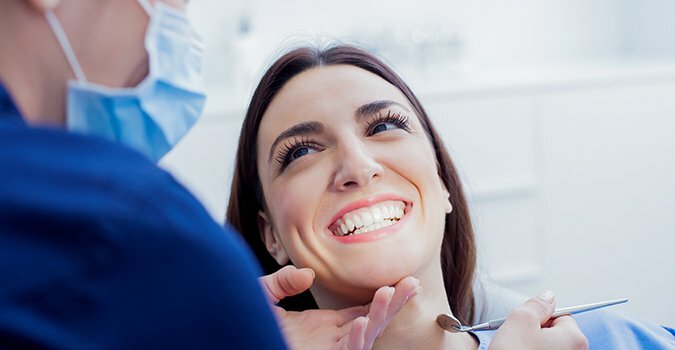 Since most dental insurance plans do not cover adult braces, you may want to ask if the dental specialist offers any sort of financing options.